I took this photograph on the northwest corner of our block. 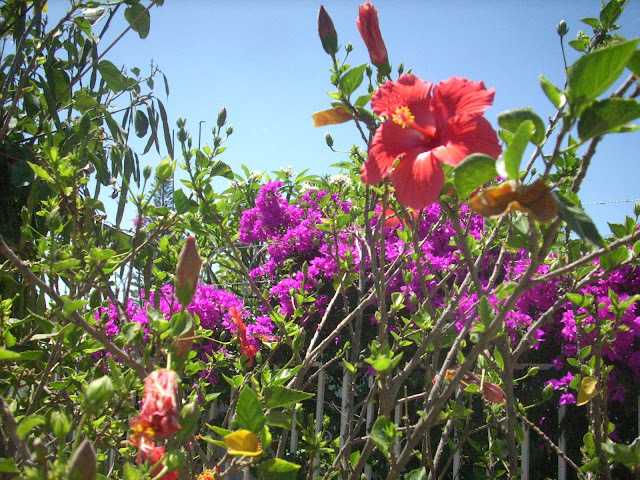 I stepped into the service drive along Ajijic's main street just so I could capture the Jamaica blossoms along with the plumeria and bugambilia. These plants are just daily reminders of why we live in paradise.